At I.T.S emphasis is given on Student empowerment. There are various attitudinal, structural, and cultural activities where students gain the ability, authority and agency to make decisions and implement changes in their own campus, learning and education, and imparting the same to fellow students & the community at large. There are countless ways in which this Empowerment is achieved, all of which feature learning, teaching and leadership. Moving beyond listening to student voice, this model re-envisions the role of students in Equitable Partnerships with faculty throughout the learning environment. These activities introduce non-traditional, highly effectual opportunities for students in hallways, classrooms, principal’s office, boardrooms, and beyond. It is a model for campus improvement that strengthens the commitment of students to education, community and democracy. It promotes student engagement by securing roles for students in every facet of the educational system and recognizes the unique knowledge, experience and perspective of each individual student. At I.T.S, Coordinator System is followed for smooth functioning of the institute. There is an In-house Student Counselor for helping the students throughout their curriculum. 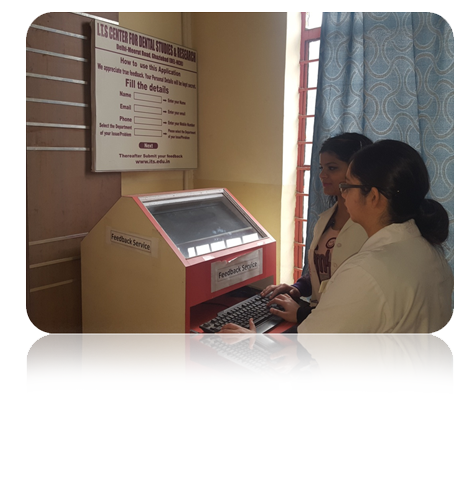 Student Feed back Kiosk, Anti Ragging Cell, Women Cell. Before each new batch of students enters Clinics, a formal white coat ceremony is organized. 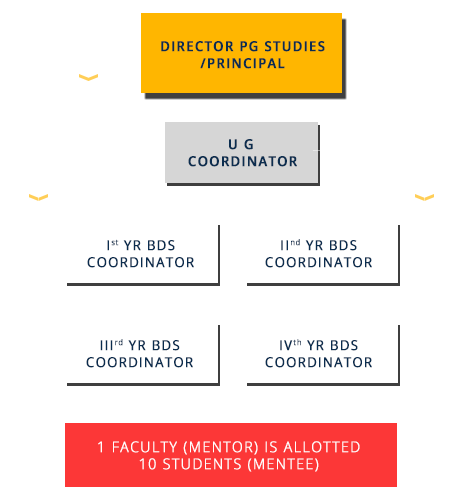 This system helps to ensure the smooth operation of the Undergraduate Programs, he success of College Events and Outreach Initiatives by Overseeing, Guiding, Mentoring and providing sufficient Consultation through emails, phone calls, and personal interactions with students, faculty, staff, and other academic departments. Mentorship Program at I.T.S, has the Primary Objective of enabling Constructive and Positive Interaction, Guidance and Mentorship of students by Faculty Members. In this system, there is 1 mentor for every 10 students. Mentoring is a particular form of relationship designed to provide personal and professional support to students. In a nutshell, a mentor may be perceived to be facilitator, who provides constant support for overall development of the student in general and the first year students in particular. There is an In-house Student Counselor for helping the students throughout their curriculum. After admission all the students have an interactive session with her, wherein any special needs of student is identified. The counselor then on the basis of inputs gathered in these interactions takes appropriate actions to solve the collective or personal problems of the students. 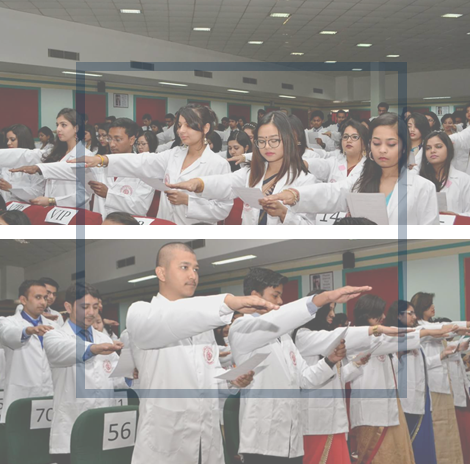 In this ceremony the students are made to take the "Hippocratic Oath" and the students are made aware of the Medical Code of Conduct & Ethics.